Given to business officers who have made extraordinary contributions to their schools. The award assists heads of school and others in recognizing the work of their business officers within the school community. Who should be nominated for this award? 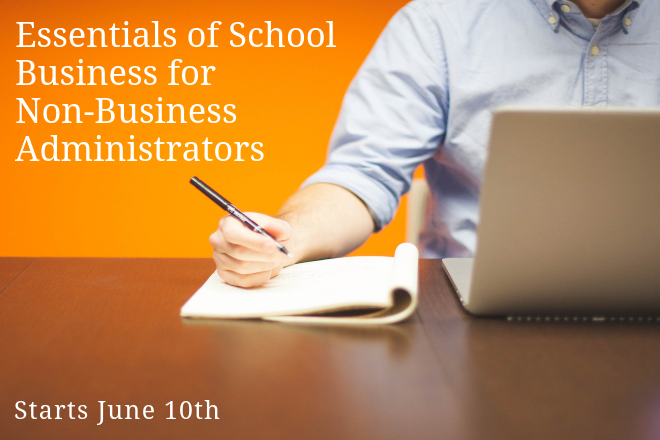 This award honors business officers who have made significant differences in their schools. Their contributions exemplify exceptionally high standards of integrity, knowledge and motivation to help their schools succeed. They are team players whose work supports faculty, staff, trustees and administration. They are excellent managers as well as true leaders. Besides clearly demonstrating an effective mastery of his or her job, each recipient of this award must have made a significant difference to his or her school, its staff and its students. There is no limit on Unsung Hero Awards; as many are given as there are deserving nominees. Nominations are currently closed for the Unsung Hero Award. The Unsung Hero Award is delivered to the recipient’s head of school, who may choose to present it at a significant school occasion such as a board meeting or an all-school ceremony. NBOA formally announces the latest recipients each July, after all recipients have been presented with their awards. NBOA applauds the 2018 recipients for their extraordinary contributions to their school communities. Will J. Hancock has always gone above and beyond the call of duty. He spent 35 years at Hawaii Preparatory Academy in a variety of positions, where he touched many lives and inspired countless business officers along the way. Will is an active participant in the Hawaii Association of Independent Schools, where he founded the business officers group. He has given endless hours to NBOA, ABOIS, Hawaii Planned Giving, the National Committee on Planned Giving, and the National Society of Fund Raising Executives. He also gives his heart and time to causes in his community, including serving as a director on both the North Hawaii Hospice Board and the North Hawaii Community Hospital Board. Will was also honored with the NBOA Ken White Distinguished Business Officer Award in 2001. He currently serves as advisor to the executive director at Kanu o ka 'Aina NCPCS.